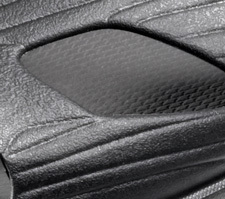 Creating truly innovative footwear that’s unmatched in comfort and performance comes down to the details. At Speedo, we dissected what we do best and where we could be better to create a line of inspired aquatic style and function. Our constant strive to be better led to new, proprietary technologies, including FluidFlow, S-Trac, reBND foam, and Exsqueeze Me cushioning. Whether you are charging a mountain trail, racing in a triathlon or simply strolling the beach, Speedo footwear delivers superior drainage, traction and comfort. 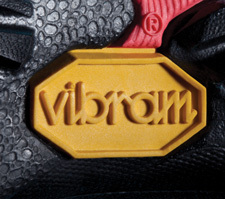 Vibram is the undisputed leader in high-performance rubber soles. We looked to this trusted partner for a sole with more grip, comfort and durability. They delivered with the TC1, a high-performance rubber compound that reduces slipping on the smoothest, wettest surfaces. 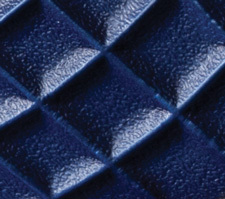 Unlike traditional EVA, PlusFoam is crafted from post-consumer, post-manufacturing, scrap and virgin materials to create a nonabsorbent, anti-microbial surface. PlusFoam is not only outperforms traditional EVA. It’s also created to be a landfill neutral and continuously recyclable. 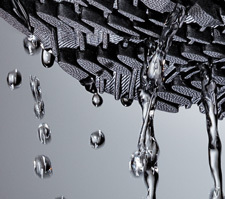 FluidFlow technology promtes water flow and drainage throughout the shoe enhancing quick drying properties. It allows water to freely flow trough the midsole increasing water resistance and drag for a maximum workout. Fluidflow technology quickly drains excess water throughout the outsole preventing absorption and keeping your feet dry. 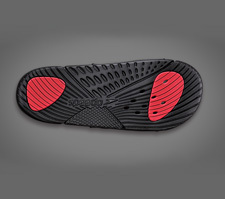 S-TRAC rubber outsoles offer water management and dispersion characteristics providing maximum traction. S-TRAC technology streamlines water away from the outsole and enhances direct surface contact to improve traction and slip resistance. Engineered to gently mold around ones foot the same way soft, wet sand does, Exsqueeze Me cushioning helps create new levels of comfort and support feel in our sandals and water shoes.